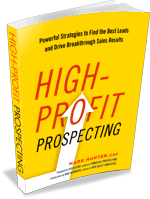 How Confident Are You With Your Sales Process? Success in sales is not measured by activity. It’s measured by results. This sounds simple, yet too many times we get caught up in the process, thinking if we just do the process enough we’ll be successful. The challenge is how do we know the process we’re using is working and is there something different we should be doing? The folks at Salesforce have just released an extensive study, “Second Annual State of Sales.” I strongly suggest you get the study at this link. The study provides significant insight into what separates the top performing sales teams from the under performers, but through it all there was one set of numbers that jumped out at me. Despite technology innovation expectations, customers still look for human connections. As a result, sales teams are finding the most success when they blend personal interactions with technologies that scale. In-person remains sales’ top communication channel for connecting with customers. This is a huge spread between what too many salespeople view as the way to approach their customers. The value of in-person and the telephone has not gone away despite the emergence of numerous other communication methods. What we have to be asking ourselves is if everything we’re doing at the top of the funnel is geared to getting us to the one-to-one conversation we need to close a sale. A simple guideline to keep in mind is the sooner we can engage the customer one-to-one, the greater the probability we have in closing the sale and closing it at a higher margin. Think about the times when you’re the buyer. When you make a purchase without any one-to-one interaction, you’re far more likely to place a higher importance on low price. Conversely, if you are having a one-to-one interaction with a salesperson and they’re doing their job of guiding you to value and the outcome you desire, the more likely that price is a non-issue. What do we need to do to alter our sales process to allow us to spend more time one-on-one with customers? Sure, social media is great, and I do view it as a key to the sales process, but we can’t allow it to become the driver of the sales process. The driver of the sales process must be one-to-one conversations. In-person connections must be at the top of the prospecting food chain, followed by the telephone. For more on the insightful State of Sales report Salesforce just released, go to this link.